Typically installed in roofs and attics, radiant barriers and reflective insulation products are often used to reduce solar heat gain. This is especially helpful for homes constructed in areas that experience hot climate and weather conditions. By reducing the heat that results from solar radiation, cooling costs are reduced, and indoor temperatures are maintained at more comfortable levels. Radiant barriers by Superior Remodelers are commonly made with highly reflective or low-emittance material like aluminum foil, which limits radiant heat transfer. They are very helpful in hot climates where a significant amount of heat transfer into and out of a home happens through radiation. When used in combination with mass insulation materials like fiberglass, foam, cotton, or cellulose, they provide optimum thermal performance. 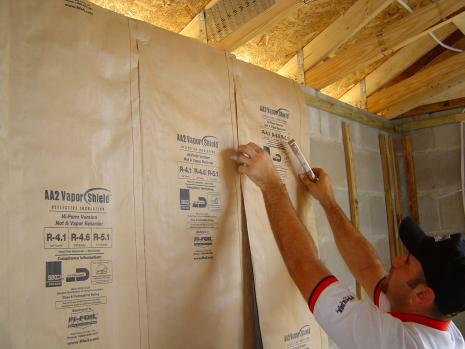 As one of Newtown, Connecticut’s leading suppliers of building materials and architectural elements, Superior Remodelers provide high-performance radiant barriers and reflective insulation systems that meet local and state codes. Our best-selling systems include insulation solutions from Fi-Foil, which offers some of the most advanced and innovative range of products in the category. For more than three decades, hundreds of millions of square feet of Fi-Foil radiant barriers and multi-layer reflective insulation systems have been installed in residential, commercial, industrial, and agricultural structures across the United States, providing cost-effective thermal performance that has helped people save money, energy, and the environment. If you are interested in learning more about these products, please don’t hesitate to visit our showroom in Newtown, Connecticut. 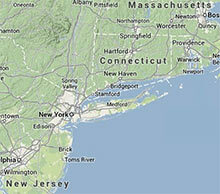 You may also reach us by calling 888-330-8148 or by sending us a message through our contact page.